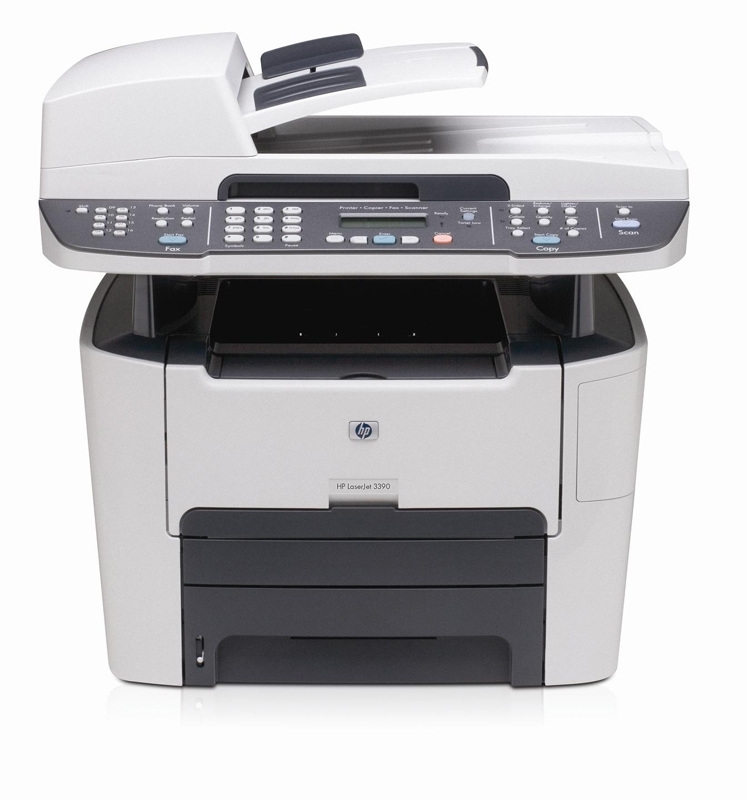 The HP LaserJet 3390 all in one is a versatile, reliable, high performance machine that combines a Laser Printer, Copier, Scanner, and Fax Machine. Fast laserjet printing speeds of up to 22 ppm, with duplex printing and copying options, vastly improves the productivity of your office workgroups. The standard 64 MB RAM can be easily be expanded to 192 MB and the 50 sheet automatic document feeder (ADF) allows for a steady level of high performance. The LaserJet 3390 comes with a standard 250 sheet input capacity that is expandle to 500 sheets with an optional input tray. Specifically designed to meet the dynamic needs of your business, take a look at the HP LaserJet 3390. Media Sizes From 3" x 5" to 8.5" x 15"
(H X W X D) As Shipped 18.5" x 19.5" x 15.7"